You want to clean your upholstery because it collects all sorts of germs, soiling, skin cells, spills, sweat, dust mites, and allergens. A lot of these things you can’t see with the naked eye but it lives within the fibers of your upholstery. In order to remove it for your health and the health of your family it is recommended to steam clean your upholstery. However, there is a minimal risk with steam cleaning sofas. As a consumer you never want to hire an amateur to for your upholstery cleaning needs. There is too much that counts on the job being done right. Don’t use a upholstery cleaner that is going to use a portable and don’t use a rental machine to clean your sofas. Portables cannot get as hot as a truck mounted machine so it will not sanitize your upholstery as well. Rental machines such as Rug Doctors use soap that leaves residue. The residue can stiffen your sofas and will attract dirt quicker. It is also harder to control the PSI coming from a portable. It is very important that the company doing your upholstery cleaning use a low PSI or water pressure. When water touches your sofas it can seep through into the cushion and because the cushion is so think not all the water can be extracted. 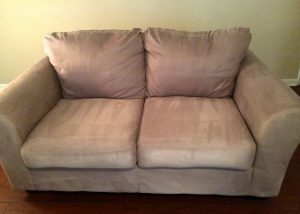 If the there is water in the cushion it’s the perfect breeding ground for mold and mildew. Once mold and mildew grow it is pretty impossible to get it out without spending money. In some cases if it is sever you will need to purchase new furniture which is an expense you were not planning on when you got your upholstery cleaned. So don’t use an amateur, don’t use a portable or DIY machine, and don’t over wet when upholstery cleaning. Call a professional such as Beyer Carpet Cleaning when it comes to upholstery cleaning. Professionals will use truck mounted machines that get extremely hot. The hotter the steam the cleaner your upholstery will be. Professionals will use a low PSI so they do not over soak your cushions. Beyer Carpet Cleaning offers a steam clean, vacuum, prespray for spots and stains, and a deodorizer for all of their upholstery cleaning customers. They also offer quick dry which will cut the drying time in half lowering the risk of any damage or mold and mildew to grow. So do use a professional, do use a truck mounted machine, do use a form of quick dry. 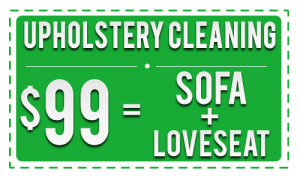 Beyer Carpet Cleaning offers a great price for sofas, love seat, and sectional cleanings. They also clean mattresses and vehicle interiors so whatever upholstery cleaning you need Beyer Carpet Cleaning can help. You can contact them at (210)723-4392 or visit https://www.beyercarpetcleaning.com/.